1. Repeat after me: self-care isn’t selfish. Why? It comes down to the true definition of self-care. Self-care is any act that nurtures your head, heart and body. Self-care is health care. Still feel a pang of guilt? Think of what self-care facilitates in your life – what does it allow you to be and do. When we are well nourished we are best placed to respond to life’s challenges with clarity, compassion and resilience. It truly is the ultimate win win. 2. No time for self-care? Seek out ‘micro moments’ of nourishment. Self-care needn’t take large chunks of time. It’s about imbuing every day actions with a feeling of tenderness and care. A meditative shower, where you savour the scent of the shower gel and the cleansing property of the water, will set you up for the day better than one spent ruminating on your to-do list. We all have time for this kind of nourishment. 3. Not sure where to start? Get quiet, still and listen to your mind and body – it will tell you what it needs. We often habitually turn to the same types of self-care but we benefit from varying our approach to nourishment. The most effective self-care is a bespoke response delivering the mind and body what it needs in the moment. Having a broad toolkit from which to choose will serve you well. You’ll find plenty of inspiration in my book ‘The Self-Care Revolution’. 4. Seek balance in your self-care activities. There is a time for stillness and a time for movement. We need social connection as much as we need time in solitude. We need stimulation and we also need rest and relaxation. We need to plan and take action but we also need space for an absence of striving. Cultivating balance is how we create maximal effectiveness from our self-care rituals. 5. Write it down. The simple act of writing down our self-care toolkit forms a powerful priming action for that behaviour, helping you to make a life-giving choice more often. When we are feeling frazzled, stressed or fatigued it can be hard to put your finger on something constructive. Having a well-articulated self-care toolkit will connect you with a form of nourishment accessible when you need it the most and help you get back on track swiftly. Need a little more self-care inspiration? 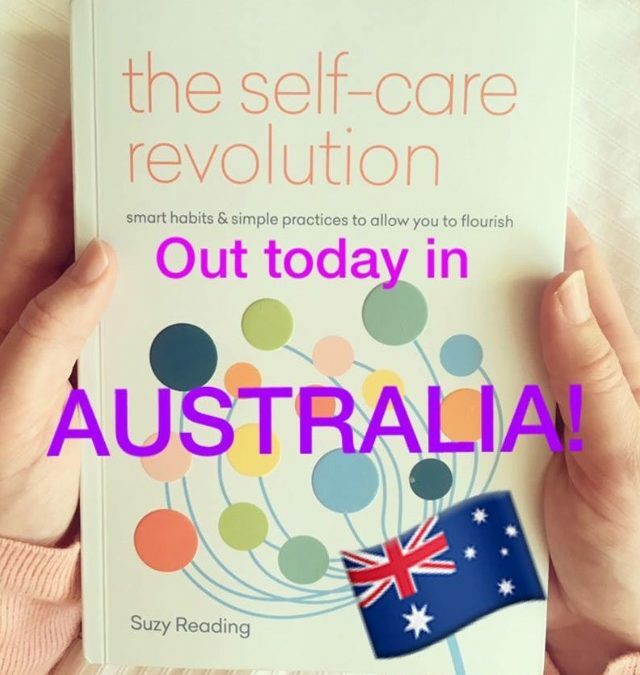 My book ‘The Self-Care Revolution’ is out now in the UK and Australia and to follow shortly in the US and Canada. Leap over to Amazon to get yours!